Until 1206 when Genghis Khan formed the Mongol Empire, the country was under the rule of Nomads such as Xiongnu, the Xianbei, the Rouran, and the Gökturks. It would later fall to Manchu Qing Empire which would rule the country until 1911. Mongolia is a landlocked central Asian country that is bordered by Russia to the north and by China to the south. Its capital, Ulan Bator, is home to 45% of the country's 2,921,287 people. 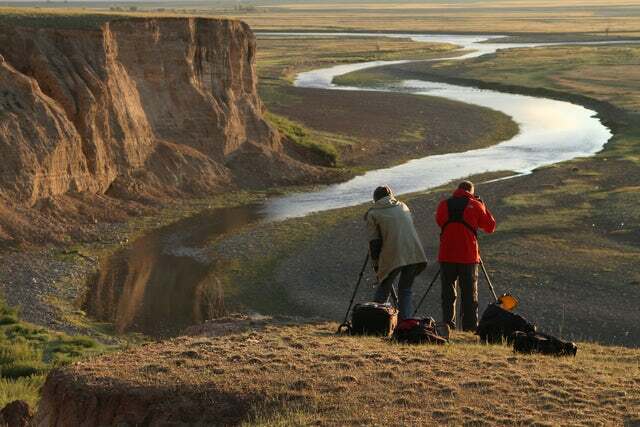 Below are some things you may not know about Mongolia. 1. The Mongol women of the past called the shots...yeah, you read that right. They occupied positions of power and kept the economy thriving while their men fought war after war conquering nations with mercilessness akin to that of the early Romans. 2. So you thought that the Postal System that would later change the world so much was invented by Europeans, right? Wrong. It was invented by the Mongolians in a system they called Yam which means “checkpoint”. At one time, there were 1,400 stations and 50,000 horses to run this system. 3. At 1,564,116 square kilometers (603,909 sq. mi) with a population of 2.9 million people, Mongolia is the 19th largest and most sparsely independent country on earth. 4. Mongols practice Tibetan Buddhism and their demographics read as follows: 90% Mongols, 10 percent Kazakhs and Tuvans. 5. Mongolia is the second largest landlocked country in the world after Kazakhstan. 6. The Mongol warriors invented such war tactics as human shields, guerrilla warfare, hostage taking and mercilessness to those cities that did not submit to their rule. This made them a very effective fighting force. 7. Due to the extreme weather in Mongolia, the staple food comprises of dairy products, meat, and animal fats. 8. China has for the last 20 years replaced Russia as the main trading partner of Mongolia. This has led to double digit growth of the country's economy. 9. Have you ever heard of Bactrian camels that have double humps? Well, you can only find them in Mongolia, Nepal Himalayan region and Siberia in Russia. 10. The best place to see how ahead of their time the Mongols were, you just need to look at Golden Horde Empire's the capital, Sarai-Batu. It is one of the most ancient built up cities that still remain intact. On your Chinese tour, make sure you travel further up north for some serious history lesson in Mongolia. It is informing on how world powers and civilizations come and go.